Count Cubula is rhyming magical bedtime story that teaches kids about numbers and counting. Read about the vampire Count, his half werewolf wife, and their six circus performing kids. This picture book is beautifully illustrated by the talented Polina Whitetail. If you like vampires, werewolves, witches, and skeletons, then this is the book for you! Free on Kindle. How do you keep in touch with a grandchild who lives on the other side of the country? 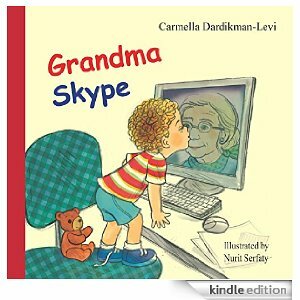 “Grandma Skype” is a heart-warming book, demonstrating the joys and realities of modern-day grandparenting. Christopher’s Grandma, “Grandma Skype”, brings a great deal of warmth and love into his life, even though she lives on the opposite coast of the United States. Get your book and learn about the heart-warming relationship of a grandma and her grandchild. 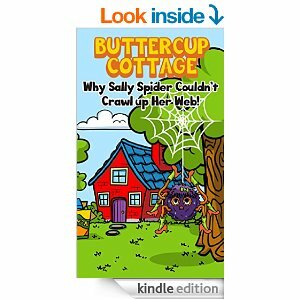 Buttercup Cottage: Why Sally Spider Couldn’t Crawl Up Her Web! Why can’t Sally Spider get up her web? This is a new series, in comic book mode, with colorful puppets. Children will love to easily read with the speech bubbles. 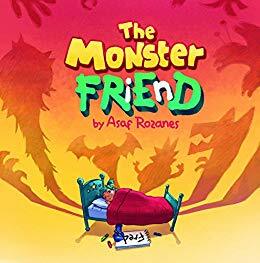 This series will also lovingly encourage good nutrition, good manners and above all the importance of learning to read.